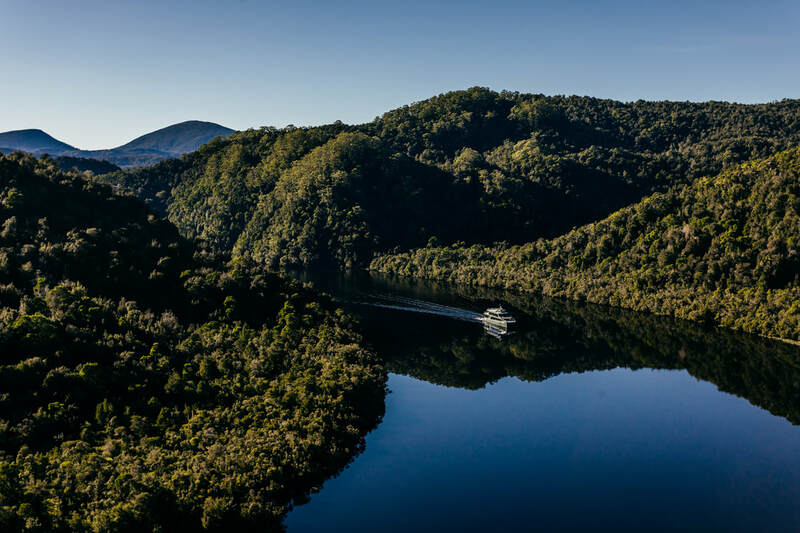 Cruising the Gordon River is one of Australia’s most iconic wilderness experiences – and now you can enjoy it like never before. Departing from the picturesque town of Strahan, the purpose-built catamaran Spirit of the Wild cruises upstream on the Gordon River and into the UNESCO Tasmanian Wilderness World Heritage Area. Cruise quietly under electric motors to truly experience the tranquility of this remarkable place and be first on the water to see the mirror-like reflections that make the Gordon River so famous. You’ll also step ashore at Heritage Landing to witness firsthand the ancient beauty of Tasmania’s temperate rainforest, and at Sarah Island to explore convict history. For an unparalleled experience of luxury in the wilderness, cruise in style in the Premier Upper Deck.